eCountability directors Bill Butcher and Jo Treweek have won the CIEEM award for the article in the Institute’s In Practice publication in 2015 with most influence on the ecological profession. The article, with joint authors Bob Edmonds, Pete Carey and Lisa Norton, explored the potential for a new UK habitat classification that could enhance mapping and recording methods for habitats and ecosystem services. 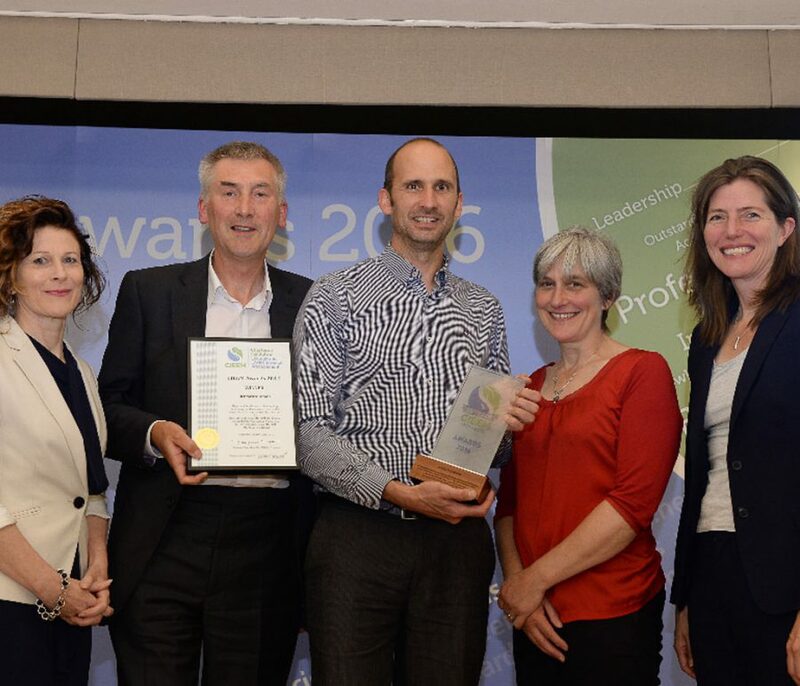 The award was presented to the authors by CIEEM and the CEO of the Wildlife Trusts at the Birmingham Botanical Gardens. The article “Do recent developments in mapping technology and assessment demand a comprehensive new habitat classification?” asserts that the profession is currently hampered by a confusing array of classifications, most of which are unsuitable for use in GIS applications. The need for a clear system, used consistently by all practitioners, has never been greater to track changes in the resource and plan effective conservation measures. The full article is available for download here.